Pembroke, NY (March 17, 2019) – On Thursday of this past week, police responded to a fatal accident that led to the fatality of one person. Now, police have identified the party who lost his life. The party was identified as 54-year-old Wayne Striewing, of Pembroke, who had been driving westbound on Main Road and crossed into oncoming traffic on the roadway. This caused his vehicle to collide head-on into a tractor-trailer. Police say that Striewing was tragically killed at the scene of the crash. 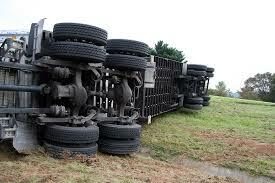 Meanwhile, the driver of the truck involved only suffered minor injuries and is expected to recover. At this time, police continue to investigate the circumstances of the accident. At this time, our hearts go out to the loved ones of Wayne Striewing, whose life was taken prematurely in this devastating accident. Every year in New York, many people will be injured or killed in serious motor vehicle accidents across the state. If you have lost a loved one in an accident and you believe it took place due to the recklessness of another party, we want you to know that you have many rights. Let us help you obtain the compensation you deserve. Experiencing a fatal accident can be life-altering, especially if you are taking the time to grieve and have to face a variety of bills on your own. Our accident attorneys at Hach & Rose are here to stand by your side and apply our knowledge of New York laws to your case. We will help you obtain damages for funeral costs, lost wages, medical bills, and more. Please contact us for more information today at 212-779-0057.